We understand that the genius behind every great meal lies not in the tools and equipment, but in the heart of the preparer. 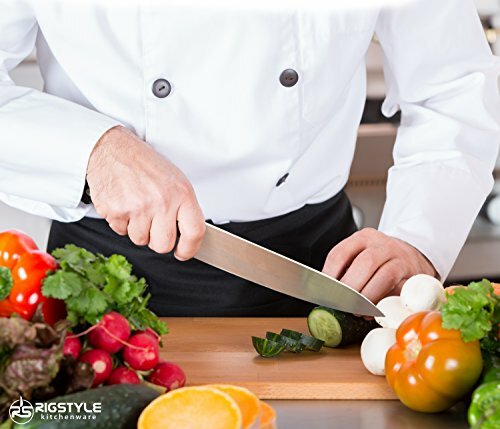 And while an expert chef can make an award winning meal using almost anything, we know that the quality of your tools makes the process easier and more enjoyable. 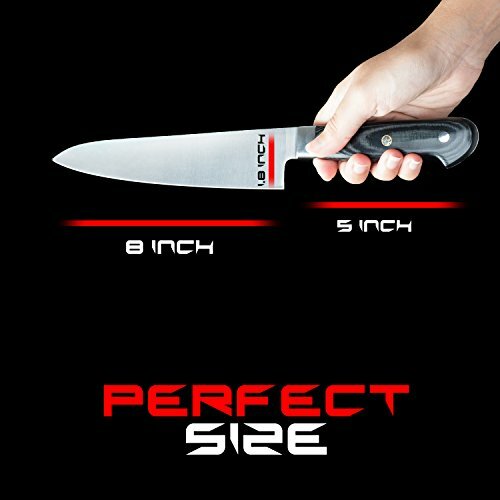 With our 8 inch chef's knife, we set out to make a utensil that can stand with some of the best knives on the market. To do that, we insisted that we only use high grade steel from Germany for our blade. 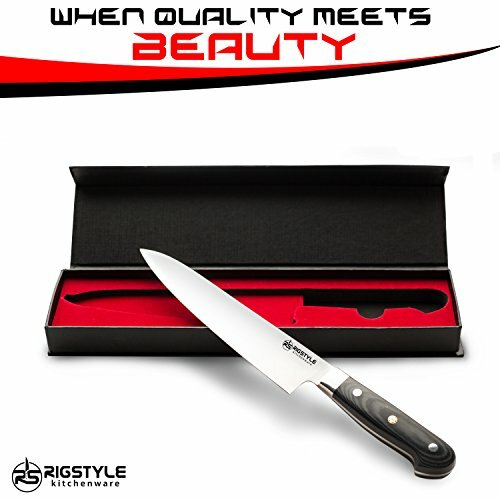 Similarly, we employ Micarta handles for comfort, durability and easy cleanup. 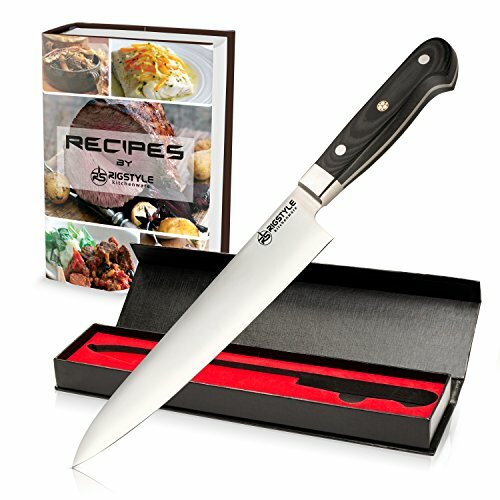 We've created a high quality, well rounded knife that can be used by the professional chef and the home cook with great results. 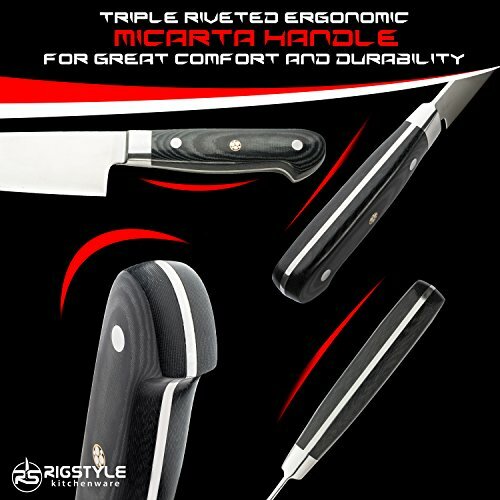 We chose Micarta for our handles due to its hardness and high strength. Although it's tough, it's also easier to grip when hands are wet. Micarta is often found on premium knives. An intricate copper mosaic center rivet in the handle enhances its beauty. 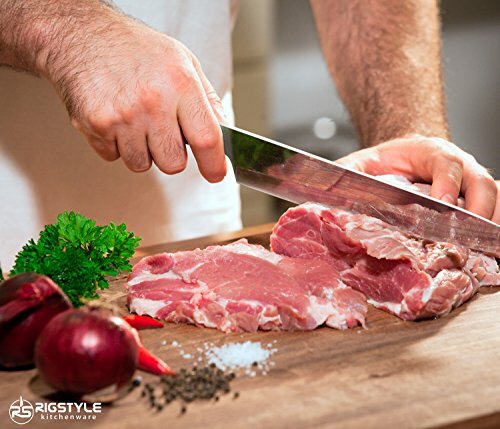 Our long blades are ideal for carving, slicing, dicing and cutting a variety of foods. 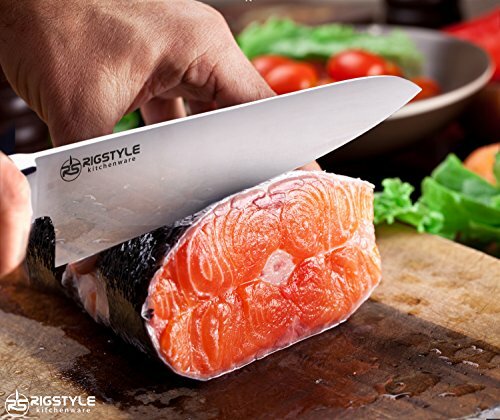 In addition, the quality of the steel we use means our blade is designed to remain sharper longer, and to last a lifetime. 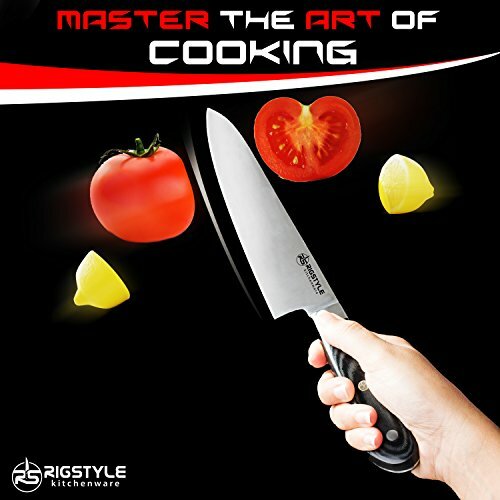 Don't wait to improve the way you cook, upgrade to a RIGSTYLE chef's knife today! If you have any questions about this product by RIGSTYLE, contact us by completing and submitting the form below. If you are looking for a specif part number, please include it with your message.